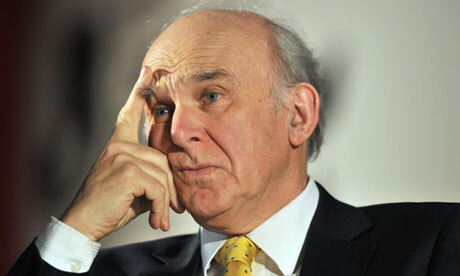 Let’s start with Vince Cable, Britain’s Secretary of State for Business, who is making a U-turn, though not yet quite finished, as he progressively realises how much he ignored about the pernicious effects of banking regulation. The way the regulatory system operates has undoubtedly had a suffocating effect on business lending and particularly on our exporters. Not surprisingly, the result is that banks pump out lending in the mortgage market, while lending to small businesses is restricted. This directly stems from the rules on which the regulatory model is based and has had a very damaging impact. One of the anxieties in the business community is that the so called ‘capital Taliban’ in the Bank of England are imposing restrictions which at this delicate stage of recovery actually make it more difficult for companies to operate and expand. Banks and industry groups have argued more regulation could force institutions to curb lending to small- and medium-sized businesses at a time when the economy is slowing. Prediction which turned out to be correct. Mr Cable’s went from blaming banks for the crisis and justifying stronger regulatory requirements to blaming those same requirements for the weak level of business lending in the UK. Unfortunately, his U-turn isn’t fully completed and Mr Cable attacks the wrong target. Capital requirements are defined in Basel, the Swiss city. And he supported them in the first place, without evidently knowing what those rules involved. He also seemingly showed a poor understanding of banking history as his support for banking insulation through ring-fencing demonstrated (though most regulators are to blame as well). Better late than never? Perhaps, but probably too late to have any effect going forward… Politicians’ and regulators’ rush to design banking rules in order to please the public opinion is making everyone worse off in the end.